Video inspections of PVC sewer pipelines oft en reveal small longitudinal gaps between the spigot end and the bell shoulder of the gasketed joints. Th ese gaps are not fl aws. 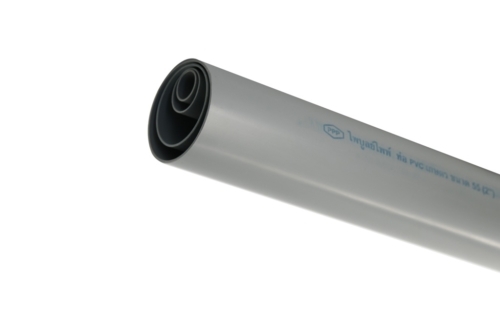 In fact, gaps are an important design consideration for both pressure and nonpressure PVC pipes. 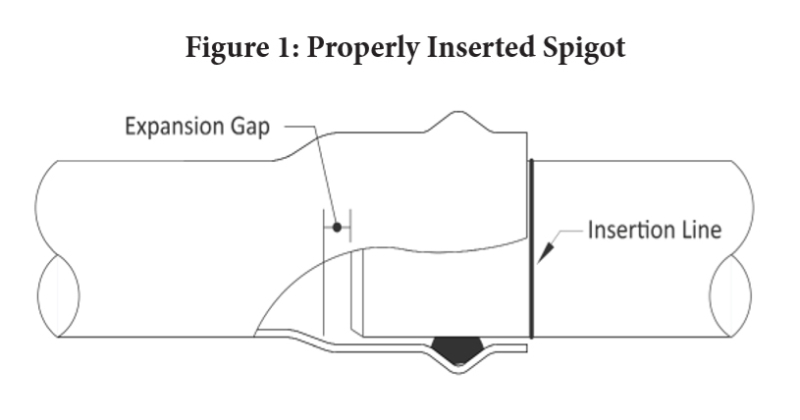 Figure 1 shows a properly assembled PVC joint: the pipe spigot is pushed into the bell until the insertion line is fl ush with the lip of the bell. Th e expansion gap is shown. 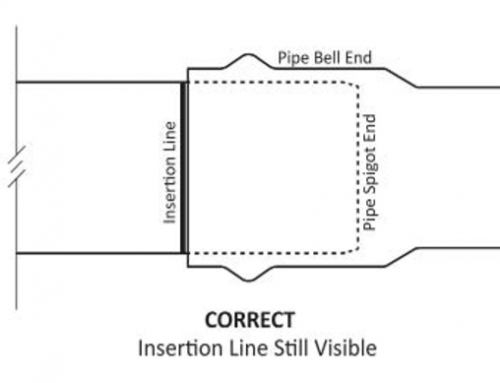 Figure 2 shows a pipe that has been over-inserted until the end of the spigot has contacted the shoulder of the bell. Th ere is no gap present. 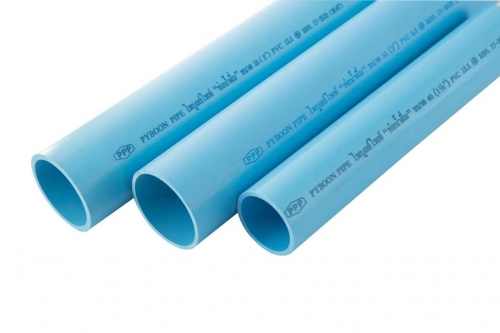 PVC pipes are engineered with push-on gasketed joints. Aft er assembly of a joint, there should be a gap between the end of the spigot and the shoulder of the bell. Th is gap protects the integrity of the joint, allowing room for thermal expansion. Th e gap also allows unstressed angular off set at the joint, which is benefi cial in accommodating unexpected ground movements and other adverse fi eld conditions. Some installers are concerned that the joint will leak unless the spigot is “bottomed out” in the bell. Th is is not correct. 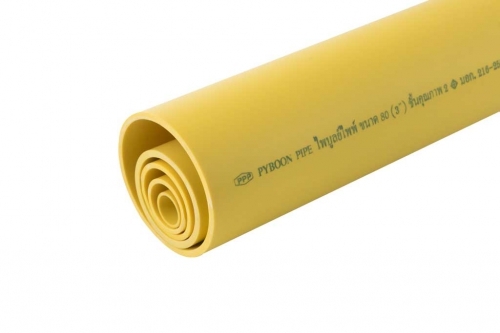 Th e joint is designed with suffi cient length of insertion past the gasket to permit thermal contraction without compromising the gasket seal – even with the gap. For sewer-pipe hydraulics, Manning’s “n” value is used as a measure of a pipe material’s smoothness – the lower the “n” value, the smoother the pipe. For PVC pipe, testing has shown that n = 0.009 is an accurate design value for pipe with gaps at the joints. For pressure-pipe hydraulics, the Hazen-Williams “C” factor measures smoothness – the higher the “C” value, the smoother the pipe. 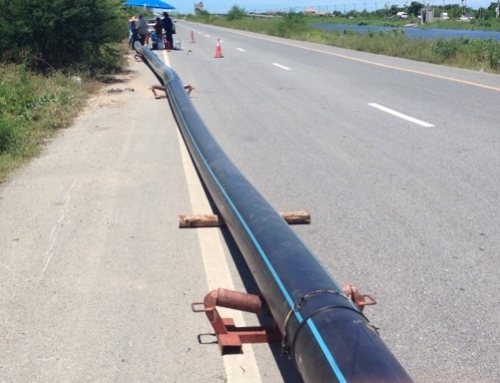 For PVC pipe, testing has shown that C = 150 is the correct design value for pipe with gaps at the joints.